Various artists from SM Entertainment joined together to give a helping hand at delivering coal briquettes to the unfortunate this winter season. 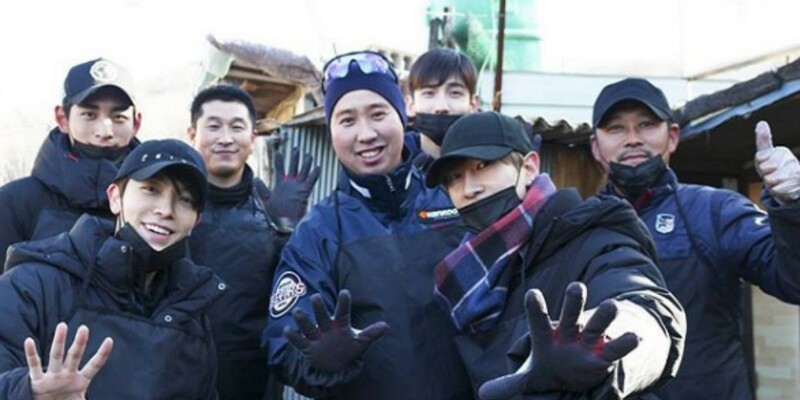 With the new year, TVXQ member Changmin, Super Junior's Donghae, Eunhyuk, Brown Eyed Girls' Narsha, Red Velvet,�f(x)'s Amber,�and more decided to express their generous hearts by volunteering.� The stars can be seen with huge smiles on their faces despite the cold, all bundled up in bulky coats and working hard in delivering the coal briquettes. Other agencies including�ESteem & MYSTIC Entertainment and celebrities from Galaxia SM also helped out.� Professional baseball players Lee Jung Hoo, Yoo Hee Kwan, and model Jung Hyuk were also spotted on site. The caption read, "SM TOWN FRIENDS have begun 2018 in a meaningful way by volunteering to deliver coal briquettes this year!� SM Entertainment,�& ESteem & MYSTIC Entertainment, Galaxia SM�& Speeker�staff and celebrities have united to participate in this special event." "We hope that we were able to share some of our warmth this winter season to the needy. Have a blessed new year everyone!" SMTOWN FRIENDS? 2018? ?? ?? ???? ??? ???? ?? ??? ?- ?? ??? ??? ??? ???? SMTOWN FRIENDS? ??? ?? ????! ?? ?? ???? ?~!